On May 17th, CEREV will host the first in a pair of curatorial workshops led by Ethnographic Terminalia curatorial collective 2011 curators Trudi Lynn Smith (York University), Fiona P. McDonald (U C London) and Kate Hennessy (Simon Fraser University, SIAT), and CEREV-based curatorial research group members Erica Lehrer, Florencia Marchetti, Monica Eileen Patterson, Joseph Rosen and Cynthia Milton, to begin to develop their research projects into curated works-in-progress in preparation for a November show at Montreal’s Eastern Bloc (Center for New Media and Interdisciplinary Art) gallery. In its third year, Ethnographic Terminalia is an innovative gallery exhibition showcasing work by artists and anthropologists that stands at the margins of traditional ethnographic practice. The show has traveled (to Philadelphia in 2009 and New Orleans in 2010), always in association with the American Anthropological Association annual meeting, which will take place in Montreal in November 2011. The exhibition will be anchored by a central work by artist Humberto Velez, in conversation with other works that will be selected from a juried art call to the AAA membership and public, as well as projects produced by CEREV affiliates. 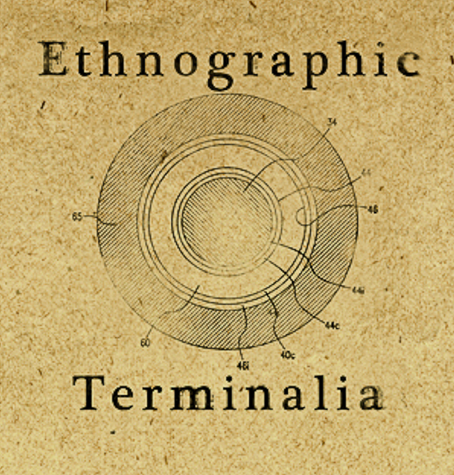 Ethnographic Terminalia will create a space of cross-pollination not only for artists and anthropologists, but also for the 5,000 international anthropologists who will be descending on Montreal for the AAA meeting to engage with the broader Montreal community. The workshop is sponsored by Erica Lehrer’s VPRGS Accelerator and SSHRC Image, Text, Sound and Technology grants.